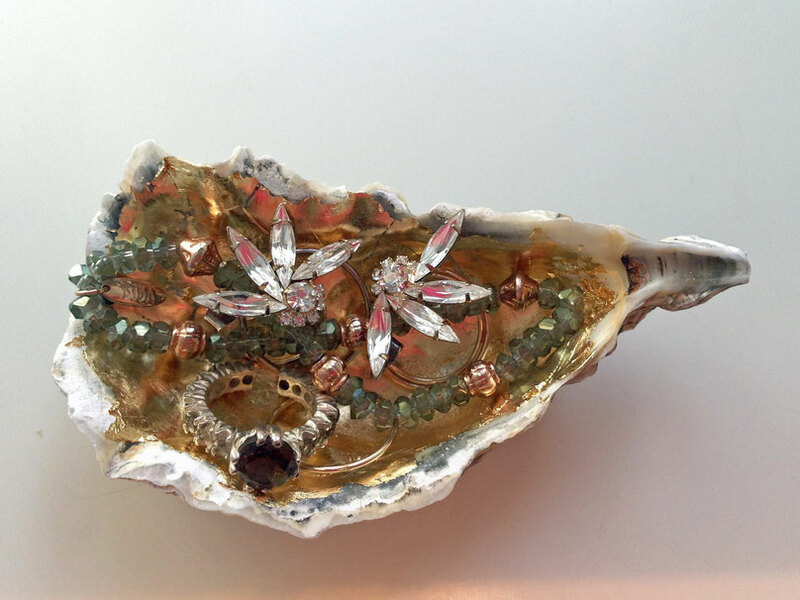 When I was a child, I loved collecting the most beautiful seashells whenever we went on a holiday by the sea. Actually, I still collect seashells to this day! When I went to DeHaan, Belgium for a long weekend recently, I brought home about a pound of those amazing oyster shells that have been washed up the shore. Back home I cleaned them and then I kind of forgot about the shells, even though there are loads of beautiful things to make out of them! For example, a dainty, golden "tray" for jewellery or any other bits and pieces. 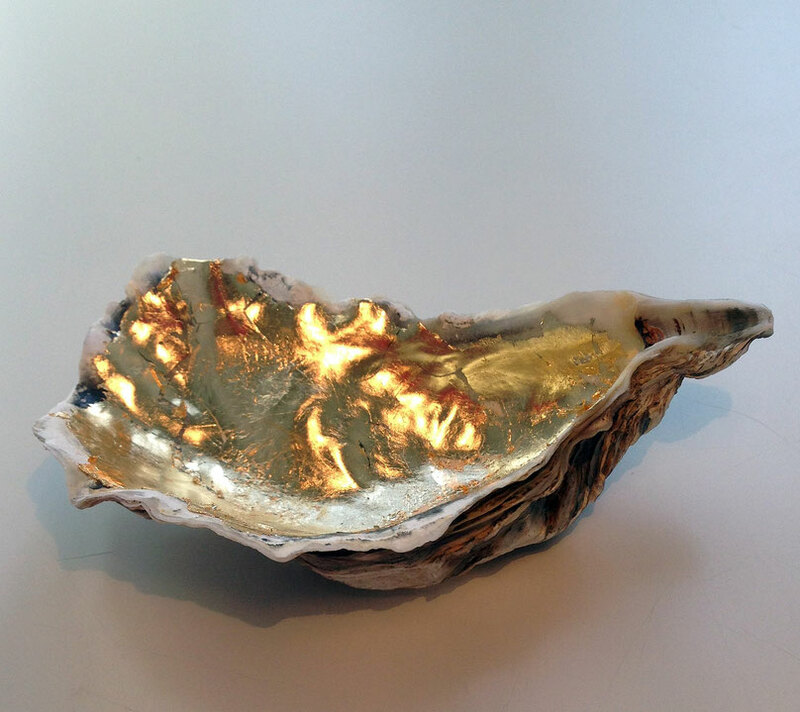 Making this golden shell really only takes about 5 minutes (except for the waiting time) and is very easy. Another bonus: I think this would make a great little gift for a friend! Distribute the glue in a thin layer in the shell using the dense brush. The metall will only stick to the parts that are covered in glue. Follow the instructions for the glue to get tacky. Mine takes about 15 minutes. Meanwhile, clean the brush. Rip a piece of the thin metall, using a tweezer if it sticks to your hand. You have to handle it carefully, as it rips very easily. 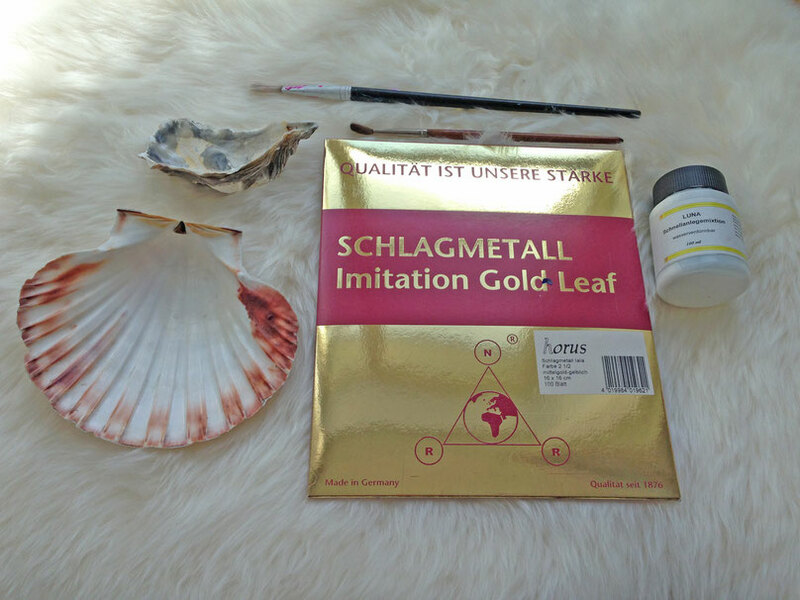 Lay the metall on the shell and take the soft brush to apply some pressure in the foil to make it stick to the shell. Cover all of the glued area with foil. Go over the foil with the soft brush a couple of times, to get rid of any little pieces that didn't properly adhere to the shell. This makes the surface look more tidy and clean. Now you can fill the shell with whatever you fancy. I think, it looks beautiful and it does a great job on my nightstand, keeping my jewellery safe!